If you're unsure what to send or looking for a long lasting gift our plants are a great choice! It's the ideal gift that will last and last and, every time it flowers, it will re-kindle fond memories of the original event. 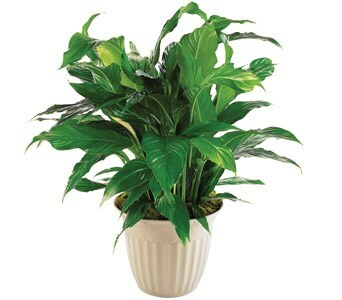 Plants are a great and inexpensive gift for birthdays, celebrations and congratulations. There are a number of things to keep in mind when ordering flowering plants. Most plants only flower seasonally and florists will only keep a limited range of plants for that reason. So, when ordering flowering plants, try not to be too specific with what you order in case it is not available. It is better to tell your florist what the occasion is and let them choose something appropriate from their range. Flowering plants are presented in pots and baskets with soil, because of this they may not be permitted in hospitals for hygiene reasons so they are not the best gift for patients. If you want to send several plants at once, consider asking your florist to "arrange" them as a 'dish garden'. The florist will present the several plants in one larger container as plant arrangement. This is a great gift for the avid gardener or for people living in apartments or units.